For downloadable images and videos, visit the Polar Media Collection. 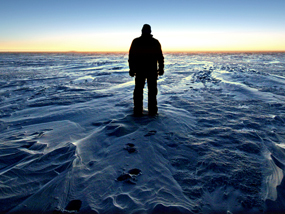 The Oldest Ice on Earth? [Watch Video] Get the Flash Player to see this program. 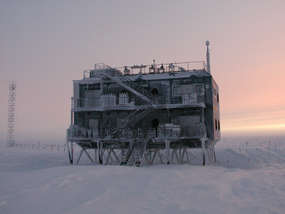 Join us as we talk to scientists working with IceCube, a neutrino telescope buried in the ice under the South Pole. Webcasts made possible through the generosity of the Gordon and Betty Moore Foundation, The Jim Clark Endowment for Internet Education, and the McBean Family Foundation. This material is based on work supported by the National Science Foundation under Grant No. DRL-0733048. Any opinions, findings and conclusions or recommendations expressed in this material are those of the authors and do not necessarily reflect those of the National Science Foundation. Unless otherwise noted, this work is licensed under a Creative Commons Attribution-Noncommercial-Share Alike 3.0 United States License.